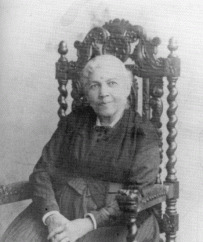 Harriet Ann Jacobs was an African-American writer who escaped from slavery and was later freed. She became an abolitionist speaker and reformer. Jacobs wrote an autobiographical novel, Incidents in the Life of a Slave Girl, first serialized in a newspaper and published as a book in 1861 under the pseudonym Linda Brent. It was a reworking of the genres of slave narrative and sentimental novel, and was one of the first books to address the struggle for freedom by female slaves, and to explore their struggles with sexual harassment and abuse, and their effort to protect their roles as women and mothers. After being overshadowed by the Civil War, the novel was rediscovered in the late 20th century, when there was new interest in minority and women writers. One scholar researched the novel, identifying Harriet Jacobs as the author and documenting many events and people in her life that corresponded to this fictionalized, autobiographical account. The novel has been the subject of many academic studies, as Jacobs challenged prevailing ideas about slavery and womanhood in her work.